Honda announced a new 125cc motorcycle aimed for youths that draws its inspiration from the Honda Monkey mini-bikes first introduced in the ’60s. The new 2013 Honda MSX125 will be manufactured in Thailand. At the moment, it has been confirmed for Europe and Japan, but there is no word about U.S. availability. 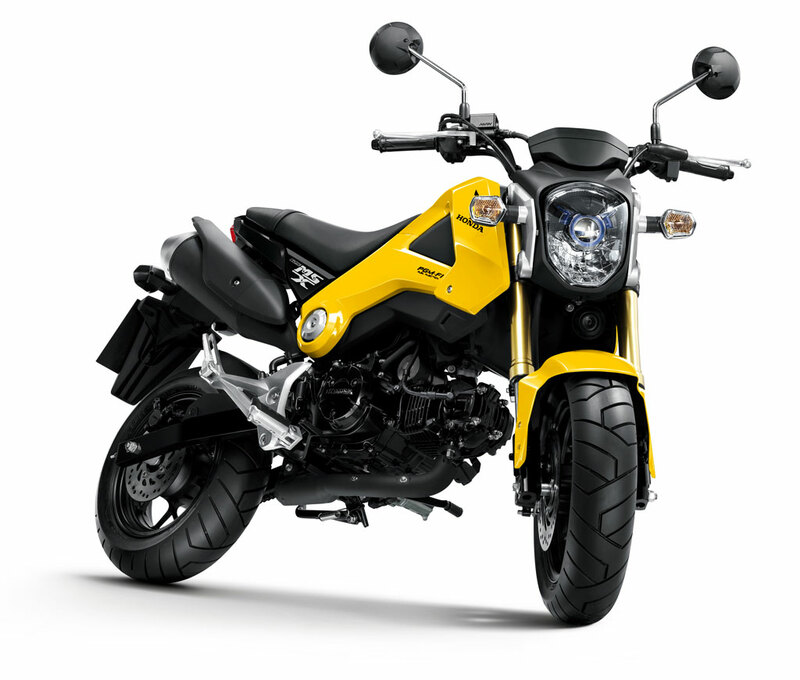 The MSX125 is powered by a 125cc air-cooled two-valve single-cylinder engine with Honda‘s PGM-FI fuel injection system inherited from the Honda Wave 125i underbone motorcycle that’s popular in Asian markets. Honda claims an output of 9.7 hp at 7000 rpm and 8.0 ft-lb. at 5,500 rpm. The engine has some low-friction features such as an offset cylinder and roller-rocker arms. This should help the MSX125 provide good fuel economy though Honda did not release any fuel consumption estimates. 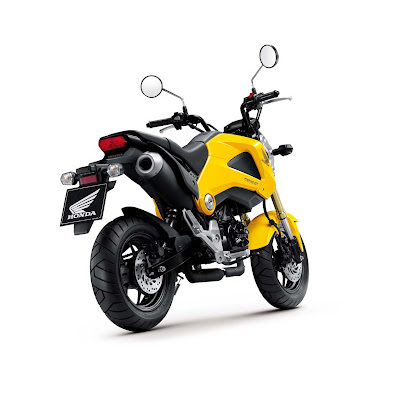 Honda registered four new patents in develop the MSX125, specifically related to the split structure tank cover and the steel mono-backbone frame. The split structure allowed Honda engineers to position the PGM-FI components and other electrical parts inside the tank cover without compromising the capacity of the 1.45 gallon fuel tank.